KIRKLEES COUNCIL has apologised for the disruption caused by the temporary closure of Dewsbury Moor Crematorium – as some families face a month-long wait to say goodbye to loved ones. Families face up to a month’s wait for a funeral – and one Dewsbury man told The Press that he could not have an open casket service for his wife, because her body had started to deteriorate. David Wigmore’s wife Nancy passed away on Wednesday, March 13, but in part due to the crematorium closure her funeral wasn’t held until yesterday (Thursday) in Huddersfield – almost a month after her death. He said: “It’s sending me crazy, it’s very hard to explain. The woman I love, the woman I’ve loved for more than 40 years has just been neglected. “She’s had to be closed off and I can’t see her. I used to go into the chapel of rest and give her a kiss, then all of a sudden I’m having to close the casket. It’s just playing on my mind all the time. Kirklees said the £3m project to upgrade Dewsbury and Huddersfield crematoriums had been planned for some time. 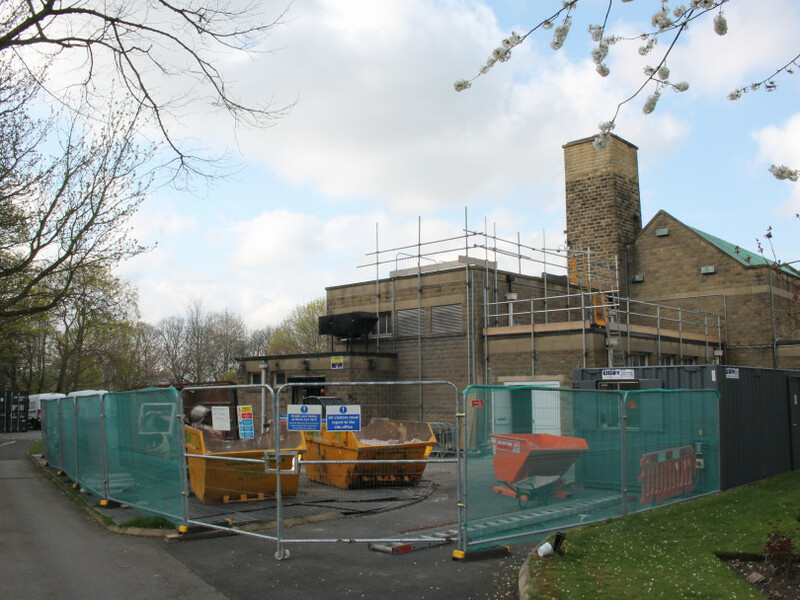 Work at Dewsbury is due to finish later this month – but the crematorium will not re-open until June 3 – and then starts at Huddersfield in May. Mr Wigmore accused Kirklees of a “lack of planning” which has led to such a long wait for his wife’s funeral. “They knew these cremators were failing, they knew this was coming up and they’d be closing two cremators down and doing three funerals a day,” he said. “They just haven’t planned for it or accommodated for it happening. “For my wife’s funeral, there must be 20 people in Dewsbury that can’t get to Huddersfield to attend. “Why can’t there be evening or weekend services? It’s not just affecting me, it’s affecting hundreds of people out there going through the same. “Kirklees just aren’t providing any service at all, they are doing the exact opposite. They’re causing people problems, worry and grief extra to what you’re already feeling. Helen Brooke, of George Brooke Ltd funeral directors in Dewsbury, admitted: “It’s really hard work at the minute. “This work should have been done 16 or 17 years ago, but Kirklees ignored warning after warning. “Until people are bereaved you don’t realise what’s happening. We’re giving people guidance of wherever they live and where is nearest. The council has insisted it is doing all it can to help bereaved families. A spokesman said: “We’re carrying out a series of phased improvements over the next 18 months at Dewsbury and Huddersfield crematoriums. “This £3m project of works is seeing us invest in replacing cremators and upgrade the chapels, making them fit for purpose. A lot of the equipment is currently outdated and if we chose not to replace it we would be leaving ourselves open to a potential full closure and total suspension of crematoriums in the future. This is something we could not allow to happen. “Unfortunately, this means some disruptions to services. “At Dewsbury Crematorium we have been able to provide a restricted service from commencement of the works in January. “However, from Monday April 8, Dewsbury Crematorium is on a full closedown for eight weeks while the new cremators are installed and also the public areas are refurbished to a much higher standard. “During that time, Huddersfield will be operating several services a day and some weekends to alleviate some of the pressures.